Microsoft has released Windows 10 Insider Preview Build 18298 to the fast ring. I would characterise this update as a good collection of tweaks which will rounds off a lot of sharp corners without any particular headline-grabbing new feature. There is quite a long list of improvements made by Microsoft in this latest test release, so without further ado I will highlight the most compelling below. 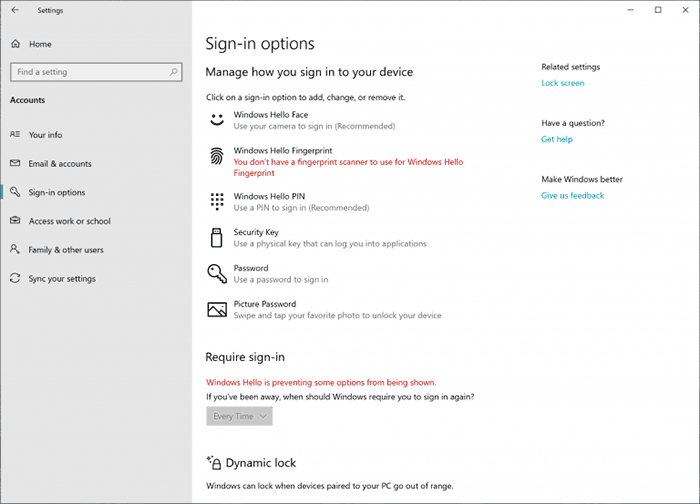 Above you will see a new consolidated control panel dialogue for sign-in options. This tidying up by Microsoft is overdue and now allows you to set up a security key direct from the settings box. Microsoft's scientists have been pondering over how to improve typing speed and accuracy with the on-screen keyboard, mostly used by tablet / 2-in-1 users now that Windows Phone is dead. It explains that it adjusts the letter borders, or hit target, "under the covers" while the keyboard will look outwardly the same to the user. Microsoft also says that it is working to fix the way that the soft keyboard sometimes obscures the text field you want to input to. There are several new settings for some experimental features in the Console. If you frequently use this feature this tweak might be appreciated. Microsoft is making UTF-8 without a Byte Order Mark the new default format. It reasons this will give the app better interoperability with the web where UTF-8 is the default encoding. Additionally Notepad now has a title bar asterisk indicator of unsaved changes, and you can now send feedback direct from Notepad. 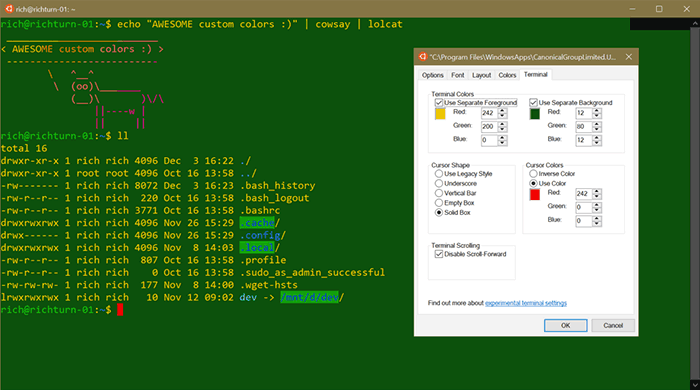 Additional keyboard shortcuts have been added in this overhaul, and various Notepad bugs quashed. Quite a lot of tweaks and changes have arrived in Narrator. To start with, every time you start Narrator you will be presented with the Narrator Home for quick access to related functions. Microsoft has implemented verbosity improvements, can read URLs with anew command, offers easier table-reading, has updated capitalised reading, can move the cursor as it reads, can say when certain keys are pressed, will work when you are resetting your Pin or password, and more. 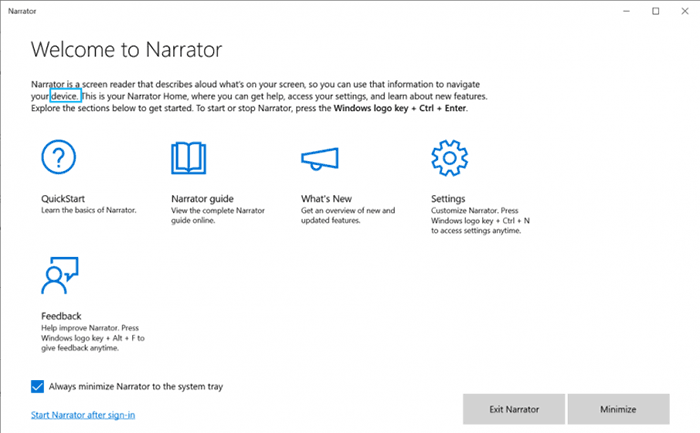 If you regularly use Narrator now, it is worth a look through the Windows Blog to read more. On the topic of ease of access, Microsoft has implemented "bigger and brighter cursors" too. The ability to unpin groups and folders from the Start Menu has been implemented in 18298. Microsoft says it allows everyone to quickly start afresh with their customisation ideas. 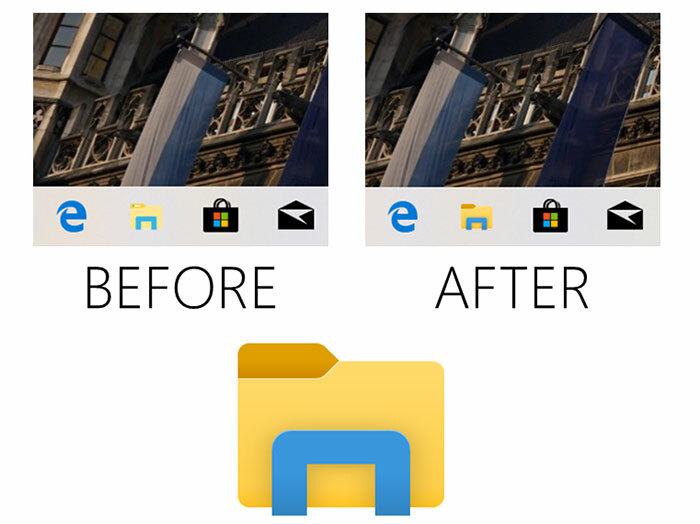 As well as getting a new icon - which has a bit better contrast / clarity (see above) - Microsoft has made the default sorting for your downloads folder to put the newest things at the top. If you have already adjusted your downloads folder sorting option, Microsoft won't change it in the update. Other changes have been delivered to the Feedback Hub, Snip & Sketch, and the Game Bar has a new Gallery experience. There are plenty of bugs fixed in 18298 too. Do we get tabs in Windows Explorer in this update? If you have already adjusted your downloads folder sorting option, Microsoft won't change it in the update. Will they delete everything in the folder though? I'd rather they optimize the time it takes for Windows “apps” to open. It's still quite hard to differentiate foreground and background windows due to flattered layout, hope this get resolved as part of ‘Update increases visual clarity’ work.